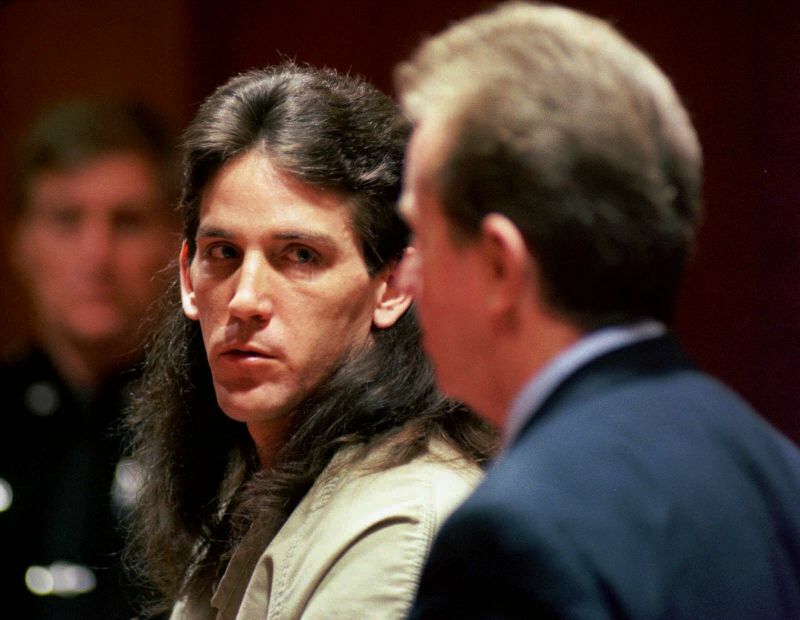 Forrest Fuller nicknamed the “Groom of Doom” named for the grim plan he set in motion after jealously stabbing Jodie LynnMyers to death in 1994. Being a bartender, you get used to hearing strange things. But when the bartender at The Last Stop in Fairmont, West Virginia had a customer tell her that his dead fiancée was in the backseat of his car, she had a feeling she’d probably heard the weirdest thing she ever would. It was Thanksgiving weekend, 1994, and 28-year-old Forrest Fuller had stopped in for a drink. As word spread through the bar, police were already on their way. They’d been searching the highways ever since a woman named Lilanes Guant, had called local police with her suspicions that her friend, Jodie Lynn Myers, had been killed. The bartender slipped away to call the police to The Last Stop–and so it became Fuller’s true last stop. Police found Myers’s body in the backseat of Fuller’s 1994 Camaro, and her wedding dress in the trunk. Already disturbed, the police’s concern only grew as they questioned Fuller about the death of his fiancée. Forrest Fuller and Jodie Lynn Myers had had a tumultuous, on-again/off-again relationship. On the night of November 23, 1994, Myers tried to break it off for good. Their relationship had gone on for years with constant up-and-downs, and it was time to leave–she wanted a chance to find love somewhere else. This revelation was too much for Fuller to take. Flying into a jealous rage, he beat Myers. He then attempted to choke her both with his hands and his tie. After that failed, he got a kitchen knife and stabbed the woman to death. Despite her wish to be free of him, Fuller still wanted Myers to be his wife–dead or alive. He put her body in his car, drove to the convenience store where he worked, and stole nearly $700, Myers’s corpse in tow. On Thanksgiving Day, Fuller secured his dead fiancée in his ’94 Chevy Camaro and stuffed her wedding dress into the trunk. He then took off from his Pemberton Township, New Jersey home on a road trip to California where he intended to marry his corpse bride. Fuller only made it as far as West Virginia, where the police stopped his westward journey. Word of the murder and Fuller’s gruesome plan quickly spread. 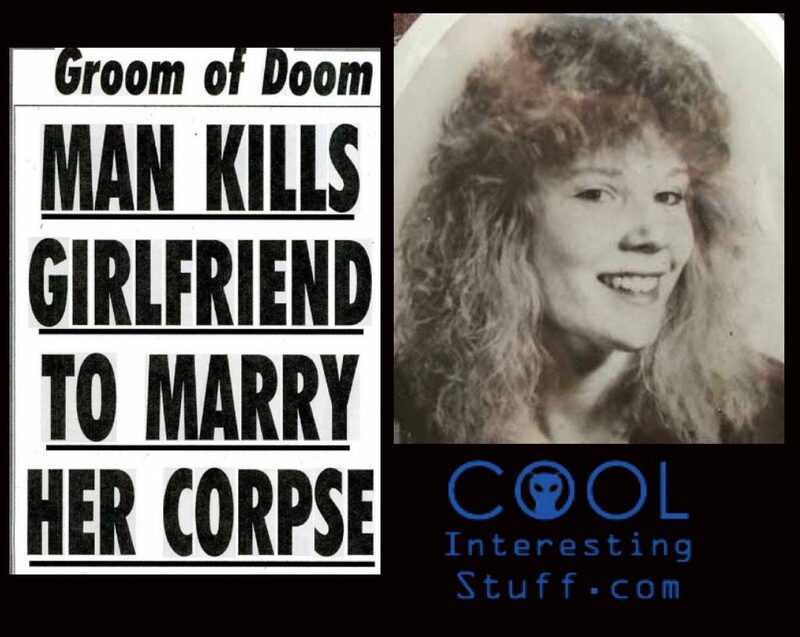 The tabloids labelled Fuller ‘The Groom of Doom’, and Jodie Lynn ‘The Corpse Bride’. Adding to the shock value of the case, it was revealed after Fuller’s arrest that he was already married with a young son. Apparently, his estranged wife had placed a restraining order against him–for reasons that Jodie Lynn didn’t find out until it was too late. Fuller’s wife attended his trial, along with their 10-year old son. The sensational case drew headlines in tabloids and major newspapers alike, including The New York Times. In 2016, a Lifetime movie, Nightmare Wedding, sprang up, however the actual storyline appears to be only loosely based on the corpse bride. Fuller is currently serving a 30-year sentence with no possibility of parole, the result of a 1995 guilty plea. In 2001, he requested a new trial, though that request was later denied.